Robert Cullen is an experienced, business oriented lawyer, adjunct law professor, and former VP and General Counsel of JSI Logistics. He has spent 30 years providing realistic, legal and business advice to his clients. 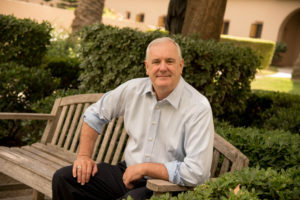 While practicing law, he has enjoyed a 20 year career as a professor at University of Santa Clara Law School. As an educator, he has taught Negotiation, Mediation, ADR and Leadership for Lawyers. He has trained hundreds of law students and lawyers in these areas. He has given seminars, spoke and taught in many settings for different organizations including large and small law firms, government agencies such as the US Department of Justice, bar associations and corporate legal departments. In the last 10 years, he has concentrated his research and teaching in the area of leadership development and has focused on teaching 21st century lawyer skills which include leadership, entrepreneurship, collaboration, communication, persuasion and team building. The leadership class that he developed at Santa Clara Law School was the first leadership course taught in a law school in the US. As an author, he has wrote The Leading Lawyer, A Guide to Practicing Law and Leadership published by West Thomson. Bob spent 5 years at JSI Logistics as a General Counsel and during that time handled a vast array of business and legal issues on a local, regional and international platform. He was formally a shareholder and managing partner with Hoge, Fenton, Jones & Appel, Inc., one of the largest San Jose based law firms. He spent 20 years practicing with Hoge, Fenton providing solid industry oriented legal and business advice to his clients. Also, while teaching many classes to law students scheduled at the dreadful hour of 4:30 or 5:30 in the evening, he has developed a casual, entertaining and engaging presentation and facilitation style so his students don’t fall asleep or stare into their computer screens. This might be one of his greatest teaching skills.